Kyle Busch Motorports is a 77,000 square foot race shop and corporate headquarters for Kyle Busch and the other Kyle Busch drivers. The race shop is fully equipped and ready to handle race preparation for it’s fleet of Toyota Camry’s and Tundras. The space is also used for executive meetings and gatherings with all of it’s partners. KBM started with Kyle’s first purchase of a Legends car in 2003 to provide a way for him to improve his driving skills. Since then, KBM has filled a trophy case with the Legends car and late model hardware. The Motorports team is now home to the No. 77 Toyota Camry in the Nascar Nationwide Series and the No. 18, No.51, and No. 54 Tundra’s in the Nascar Camping World Truck Series. In addition, there is a 2,000 square foot retail store for visitors to check out and purchase some great Nascar memorabilia. The motorsports facility is at the cornerstone of green initiatives filled with enough new technology to put it on the path be certified LEED. Kyle Busch, Parker Kligerman, Joey Coulter, Erik Jones, Darrall Wallace Jr, Chad Hackenbracht, and Drew Herring are all the drivers that are part of the Kyle Busch Motorsports family. *Drivers that participate in Stock Car & Truck Series- Kyle Busch, Darrell Wallace Jr.
Up and comer, Erik Jones, is a Truck series driver. He is only 17, and will be one to keep an eye out for in the future! With the philosophy, Win or go home, it’s no wonder Kyle Busch has been as successful on the race track as he has a business man. He first started racing in 2001 and has made quite a name for himself since then. He won Rookie of the Year in 2004 and in 2005 and the years following, he had more victories than you can count! 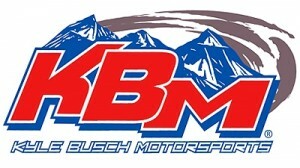 There is Kyle Busch Motorsports merchandise available for purchase at the KBM shop! Whether you are looking for a t-shirt, sweatshirt, hat, or model car, you can find it here. These make great items to take home to remember your visit, and also make wonderful gifts! 1. Take a Visit! If you are a Nascar fan, this is a great place to go check out some of the behind the scenes action in the world of racing. 2. Visit the Shop. 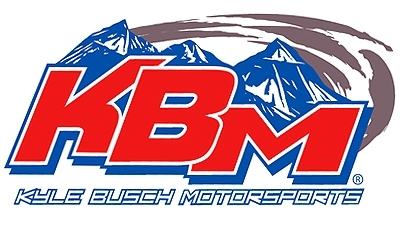 Be sure to stop into the store for some KBM merchandise to take home! The North Carolina Auto Racing Hall of Fame is the official visitors center of Mooresville, NC. It provides visitors with a free race shop guide and an experience that will allow them to check out “Race City USA” first hand! The museum features 45 race cars dedicated to all types of auto racing and aims to celebrate and enhance the rich heritage of motor sports and its cultural contributions. 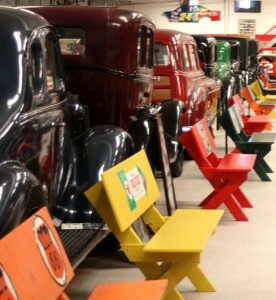 With a dedication to racing, from drag racing to stock cars, the museum houses memorabilia that represent and help relive some of racings greatest moments. In addition, there is a Goodyear mini-theater, along with showcases and displays, that bring some of racing’s greatest memories to life. The showcases and displays are continually rotated, so that they are current and provide visitors with the best experience possible! There is an art gallery which features many of motorsports’ top artists including Garry Hill, Sam Bass, Jeane Barnes, and Dan McCreary, along with other local artists. Rare Artists prints are available for purchase at the gift shop. The Gift Shop also carries a wide variety of racing memorabilia and it is the official “Race City USA” merchandise headquarters. This is a wonderful place to purchase merchandise of your favorite race car driver and get some Race City USA gear to take home. The NC Auto Racing Walk of Fame honors inductees to the Hall of Fame along the sidewalks of downtown Mooresville. As you walk down Main Street, you can see the tiles honoring the inductees. These feature the name, year, and car number of the driver honored. See if you can find your favorite inductee and get your picture made with their tile! 1. Go to the Hall of Fame! Whether you are a racing fan, or not, this is a wonderful place to learn about the history of racing and how it has become what it is today. 2. Check out the Cars! By having over 35 race cars showcased, it allows visitors to travel back in time and see how the cars and racing as a sport have evolved. 3. Visit the Gift Shop. Be sure to grab some Race City USA merchandise before you leave! 4. Take in the Art Work. Well-known artists, as well as local artists, have their artwork of motorsports featured here. Some pieces are even available for purchase! 5. Do the Walk of Fame! Be sure to check out downtown Mooresville and take the Walk of Fame to see all of the inductees. JR Motorsports is the management company and racing operations of Dale Earnhart Jr. JRM competes in multiple racing divisions, including the NASCAR Nationwide Series. The motor sports and racing company was established in 1999 as the management company for professional race car driver, Dale Earnhart Jr. They operate out of a 66,000 square foot facility that serves as the hub of Earnhart’s racing operation and business interests. The team’s headquarters encompasses a full stable of cars that compete in the NASCAR Nationwide Series and local weekly late model divisions. The JR Motorsports team does not only include Dale Earnhart Jr, but also consists of several other notable NASCAR race car drivers. These members include; Regan Smith, Kasey Kahne, and Brad Sweet. For the latest information on each of the drivers and upcoming races, be sure to check their website, www.jrmracing.com! JRM shop tours are available on Thursdays and Fridays anytime from 9am-4:30pm. If you are interested in a shop tour email shoptours@jrmracing.com. Be sure to include your name, number of people in your group, and what day/time you would like to attend. If you are looking for JRM, driver, or NASCAR merchandise, look no further! There is everything from clothing to shoes, from car gear to collectibles available in the shop. With a store on site, along with an online store, you can find exactly what you are looking for. 1. Do a Tour! Grab a group of racing enthusiasts and tour the over 66,000 square foot facility filled with cars, memorabilia, and awards. 2. Get some Merch. Before you leave, make sure you stop by the shop and buy a JRM souvenir to take home! 3. Bring your Camera. You will want to have your picture made with the wax figure of the team owner, Dale Jr! 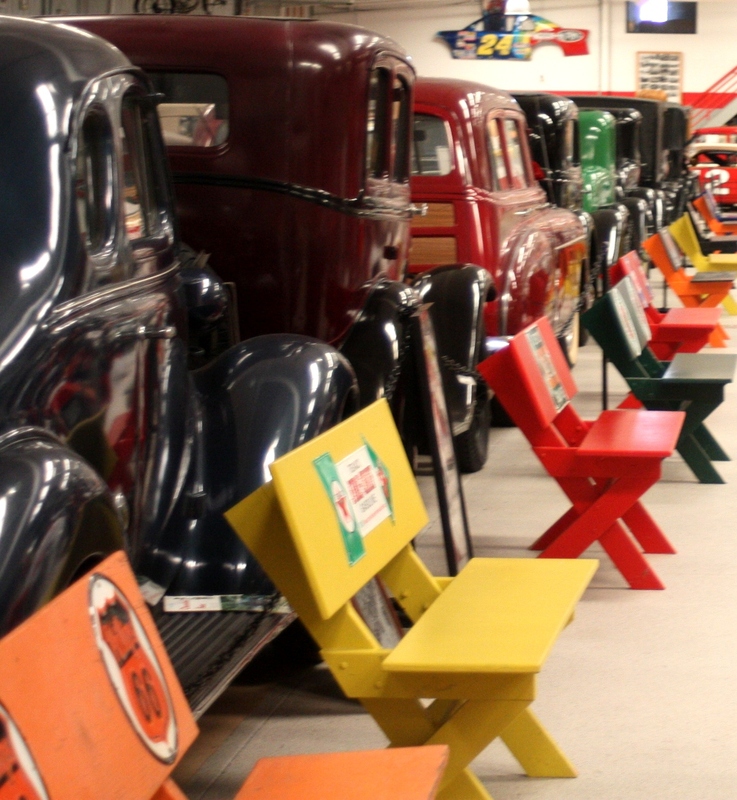 Memory Lane Museum is an auto and racing museum and a labor of love for owner Alex Beam. While in high school Mr. Beam restored his first car, a 1913 Model A Ford. The collection has been growing ever since and now includes more than 150 exhibits. Mr. Beam likes to give tours of his extensive collection in person and will be more than happy to be your guide if he is in. He can tell you about each car, where he got it, who drive it, and the secrets it holds. Memory Lane Museum houses racecars and classic automobiles some of which were used in films like “Leatherheads,” Driving Miss Daisy,” “Days of Thunder” and more. The collection also includes antique toys, toy cars, and several additional items which are occasionally rented out for film props. You may recognize some items and cars from your favorite movies! Each item in the collection has a story and carries with it memories from days gone by. The museum offers a chance for you to revisit some memories of your own and take a look back in time. 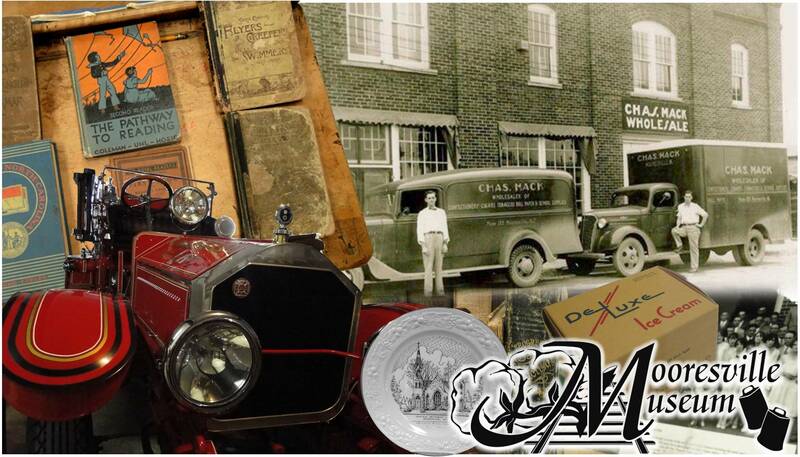 Memory Lane Museum is a perfect weekend destination or daytrip excursion with something for each member of the family. A trip to “Race City USA” would not be complete without a visit to this gem of a museum. Admission is $10 for adults and only $6 for kids (6-10). Children under six have free admission. Doors are open Monday-Saturday form 10-5 with an extended week during Charlotte’s May and October races. Be sure to bring your camera and capture a few memories of your own. From I-77 take Exit 36 to Mooresville. Then head West on Hwy. 150 (River Hwy.) for approximately 1 mile. A white road sign will direct you to Memory Lane on the left. Mooresville is a great location with much to offer. The town has many shopping and dining options, and places to stay, all within a short drive of the museum. If you are planning a weekend trip you may want to book your stay at TownePlace Suites or SpringHill Suites. These two accommodations offer various packages throughout the year that are sure to give you fantastic experiences at exceptional prices.